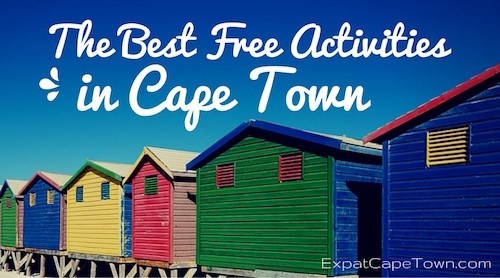 Are you looking for free Cape Town activities? Free Things you can do in Cape Town? Here they are the Best Free Activities in the Mother City. Beaches and the Ocean: Head to one of the splendid Cape Town beaches whether along the Atlantic Ocean or at the Indian Ocean beaches of False Bay. When we head out of town, we especially enjoy the beaches and safe oceans pools as well as the sight of the colorful beach huts at Muizenberg and St James. So take your swimming costumes and body boards and enjoy the gentle waves of the Indian Ocean. Or book a surf lesson with the pros in Muizenberg where the waves are especially suitable for beginners. However, take note of the flags that warn if there are sharks in the bay. The sea is quite a bit warmer at the False Bay beaches than in the colder Atlantic Ocean along the western coastline. 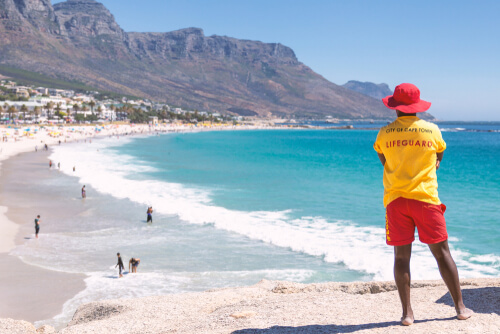 Just take note that not all beaches in Cape Town are manned by lifeguards, and be aware of rip currents too. And kids will have fun at the many free to use play parks and other facilities that are located at most of the Cape Town beaches. 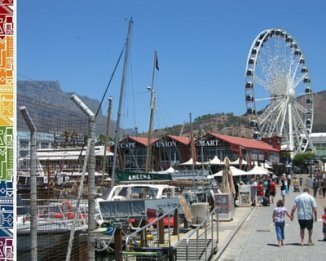 Entertainment and Shows: Enjoy the special flair and atmosphere at the V&A Waterfront. There are always street musicians and buskers, as well as artists to watch and to listen to. On weekends, public holidays and during school holidays, you can enjoy the many free concerts in the amphitheatre in front of the Victoria Shopping Centre or at the new Silo district. There are great concerts and shows for the whole family to watch and best of all they are free. So come early to get the best seats. De Waal Park in Gardens also is also popular with free or very low cost concerts during summer time. For more info on current events and Cape Town activities taking place there, click here. Cape Town Activities: Dolphins and Whale Watching: Enjoy the sight ofwhales and dolphins frolicking in the sea in Cape Town. Our favourite spots for whale watching are at Dolphin Beach in Blouberg or the long stretch and promenade from St. James to Fishhoek, where you can view the whales in season. The whale watching season lasts from June to November. If you don't mind venturing a bit further out of town, head down the coast to Hermanus, which is a 90 minute drive from Cape Town via scenic drive. Hermanus even employs a whale crier to announce the arrival of whales in the bay and the town is one of the best land-based whale watching spot in the world! Baboons and Penguins: Your kids will love to watch the playful monkeys by the roadside. 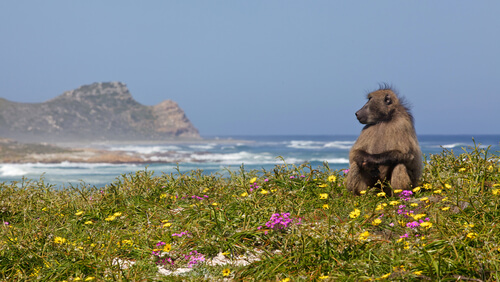 Wildlife roams here freely in some areas around Cape Town and baboons are a common sight around the Constantia winelands, False Bay and the Cape Nature Reserves. But beware: Do not feed the animals or approach them, stay in your car and watch them. Also make sure not to leave your backpacks 'lying around' when taking a pause during a hike or walk as this will attract the cheeky monkeys. 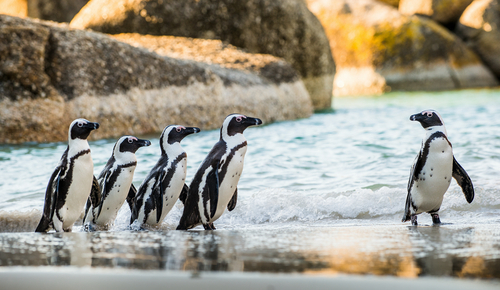 Encounters with African penguins can be experienced in Simonstown. There penguins that have escaped from the reserve can be occasionally seen lazing under parking cars, so please watch out for them. More about penguins here. Free Cape Town Activities: View over the City: If you do not want to pay for the Table Mountain cable car, you can also either walk up Lion's Head or Signal Hill to have a splendid view over Cape Town's city centre, Table Bay and the Westcoast. These 'hills' next to Table Mountain are wonderful places to experience the splendid sunset over the city too. Should the Cable Car be out of service due to strong winds, Signal Hill is a great alternative, you can drive up to the parking and platform to have a good view over the Mother City and Cape Town stadium from here. People Watching and Promenade Walk: Stroll along the seawalls of Sea Point Promenade and enjoy the smells and sounds of the Atlantic Ocean. You could actually start at the V&A Waterfront and continue to Mouille Point, then further on to Three Anchor Bay and pass the Greenpoint Lighthouse and walk all the way down to Sea Point. This walk will be about 6km and take roughly one hour, you can also continue to Camps Bay which will be another one-hour walk. Take a picnic and laze in the sun in the greens adjoining the Sea Point promenade or spend some bucks at the many bistros and sidewalk coffee shops. Watch the people from all backgrounds having a great time out together. For the soccer enthusiasts of you, from the V&A Waterfront it is only a short stroll to Greenpoint Stadium. When you are already tired of walking here, simply head to Greenpoint for one of the best delis in town called Giovanni's in 103 Main Street. Free Cape Town Activities: Birdwatching: Go bird watching in the Milnerton Lagoon. 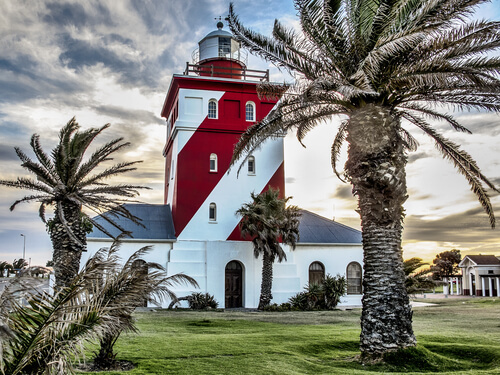 Head out to the Milnerton Lighthouse and walk from Woodbridge Island over the bridge down to Lagoon Beach towards Cape Town and at low tide walk back on the beach to the Lighthouse. Do not forget to take your camera with you as this is birdwatchers heaven. There are many big birds along the Lagoon and further down Rietvlei Nature Reserve which you access from Tableview and you can see pelicans and flamingoes too or visit SANCCOB, the seabird rescue station right next to the nature reserve. At the Vlei an entrance fees applies for visiting the reserve. Another great spot for birdwatching is Intake island in Century City where you can also find Cape Town's largest mall. A small entrance fee (R40/45 in 2019) will allow access to the wetlands. Cape Town Activities: Museums: Take a walk in the Cape Town Company Gardens, watch the squirrels and visit the splendid Cape Town museums on public holidays like Human Rights Day on 21 March, Freedom Day on 27 April or the International Museum Day on 18 May, when there is free entry in the most of the national museums such as the Natural History Museum and National Arts Museum. There you can admire South African art and learn about South Africa's history. 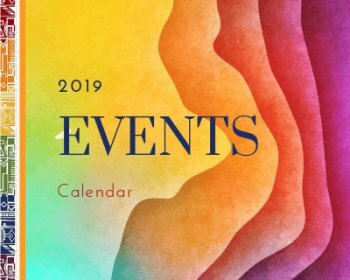 The private collections of the Norval Foundation in Constantia can be accessed free of charge on Mondays until 29 April 2019. And the Zeitz Museum of Contemporary African Arts at the Waterfront offers free entry on certain public holidays as well. Check here for public holidays. The Fynbos Kingdom - Nature's Treasures: Enjoy the colorful display of indigenous flowers in the fields, especially during spring time along the West Coast from August until October or stroll along the beaches of Blouberg and Melkbosstrand. Remember that these flowers are there for all to enjoy and do not pick them. But feel free to look out for those special marine treasures you can find on the beaches such as sharks teeth, some multicolour sea shells and empty sea snails' houses. Your kids will be busy for hours!